Roberto Mejia, 72, resident of Dickinson, Texas passed from this life surrounded by his family on October 27, 2018. Roberto was born in Matamores, Mexico to proud and loving parents, Rafael & Maria Mejia, February 27, 1946. Roberto was a member of True Cross Catholic Church. He retired from Davis & Lynch Oil & Gas Company where he was a pipefitter. He was a proud husband, father, grandfather, and friend. Roberto was preceded in death by his parents & sister, Magdalena Castro. 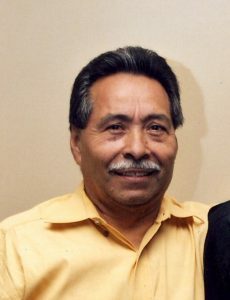 He leaves to cherish his memory, his loving wife of 48 years, Maria Mejia; daughter, Adelaida Foley & husband Roy; sons, Eduardo Mejia, Johnny Joe Mejia & wife Ana, & Roberto Mejia, Jr.; sisters, Rosaura Cisneros, Rebecca Sosa & husband Gabriel, Elena Cardenas & husband Elias, & Yolanda Espinoza; one brother, Juan Mejia; eight grandchildren, numerous friends & relatives. In his honor a visitation will be held Tuesday, October 30, 2018, from 5:00 to 7:00 pm at Crowder Funeral Home Chapel with a rosary at 7:00 pm. A funeral mass will be held 10:00 am, Wednesday, October 31, 2018, at Shrine of the True Cross Catholic Church, Dickinson, Texas. Interment following at Mt. Olivet Catholic Cemetery. The post Roberto Mejia appeared first on Crowder Funeral Home.